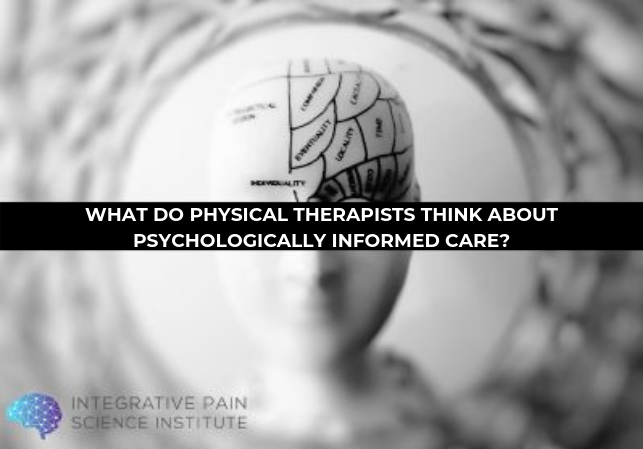 What Do Physical Therapists Think About Psychologically Informed Care? Although physical and mental health are governed by distinct mechanisms that can be conceptually separated, a bidirectional association exists that can strongly influence overall health. 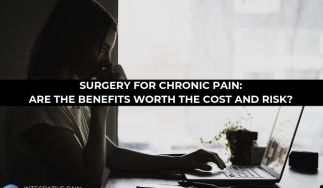 For this reason, chronic pain sufferers are at a higher risk of developing depression, anxiety, self-stigmatization, low self-esteem, and social isolation (1, 2). On the other hand, frustration, anxiety, and depression can promote chronic pain while heightening pain perception, through behavioral (poor nutrition, sedentarism) or neuropsychological mechanisms, (3, 4). It is alarming, but hardly surprising, that a global population survey found that 42% of adults with mental health issues also have back or neck pain.(5). Physical therapists (PTs) assess and treat pain conditions on a daily basis. Recognizing the mutual impact that physical pain and psychological factors have on each other, and developing the necessary skills to address such factors are critical components of an effective practice (6, 7). The need for adequate training and skills in this area is even more pressing when treating clients with comorbid mental health challenges, where the benefits of physical activity are often underestimated (8). How do PTs feel about incorporating psychological interventions in their practice, and what are the perceived challenges and benefits of doing so? A 2016 paper titled “Knowledge, behaviors, attitudes and beliefs of physiotherapists towards the use of psychological interventions in physiotherapy practice: a systematic review”, addresses these issues by gathering responses from practicing physical therapists in the US, Canada, UK, New Zealand, and Australia (9). Goal setting and motivational strategies (positive reinforcement, effective communication, and motivational talk/interviewing) were reported as the most common psychological interventions used by PTs. Creating variety in exercises and encouraging social support were also cited as relevant strategies used by PTs in some studies, whereas mental imagery, relaxation techniques, teaching emotional control strategies and reducing depression appeared among the least used interventions. An interesting finding was that some core elements of Cognitive Behavioral Therapy (CBT), such as encouragement of positive self-talk, increase of self-confidence, and activity pacing, were regularly used in practice, though many PTs did not formally identify these interventions as ‘psychological’. Most studies showed that PTs are aware of the psychological effects of pain and disability, and the responses they trigger for patients (among which stress and anxiety were most commonly cited). PTs demonstrated awareness of psychological approaches, and acknowledged the need to address these effects with support during treatment. Overall, PTs held positive attitudes towards psychological interventions in practice, and endorsement was higher among PTs with formal training in such interventions. A few studies addressed what physical therapists believed to be educational needs related to psychological interventions. Among these were effective goal setting and communication skills, along with techniques to increase motivation and client confidence (e.g. encouraging positive self-talk and creating variety). Desire for postgraduate CBT training was raised by PTs in the two studies addressing CBT (10, 11). Is Psychologically Informed Care Underutilized? Although most PTs recognized the importance of psychological interventions as adjunct to exercise prescription in their practice, this knowledge appeared to be selective and/or fragmentary. This conclusion is in line with separate reviews that report inadequate understanding and consequential underuse of these interventions by PTs treating musculoskeletal conditions (12), a generalized deficit in psychological assessment skills of PTs working in private practices (13), and the need for more structured and formal training in school and continuing education (14). 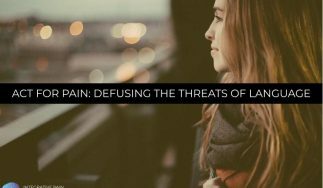 To learn more about pain-related psychological distress and ways to treat it, check out my blog, Integrating Psychological Principles into Physical Therapy Treatment. Recognition that the biomedical approach alone often fails to explain pain and disease symptoms has led to widespread acceptance and adoption of the biopsychosocial model of care. In line with this trend, inclusion of psychological interventions is steadily expanding the scope of physical therapy practice. Documented benefits of these interventions show increased treatment adherence, reduced disability, and faster recovery from disease and injuries (15). To improve patient outcomes, it would be necessary to implement, expand, and improve pre- and post-graduate training programs that emphasize psychological approaches to behavior change; a need highlighted in a previous blog that assessed the status of Physical Therapy pre-licensure education (16). 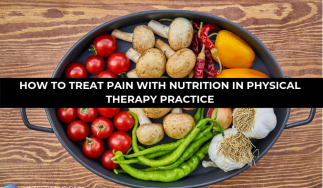 In addition, addressing organizational and economic barriers by joint efforts between private practices, institutional practices and regulatory governing bodies will also increase the reach and effectiveness of psychological interventions in Physical Therapy practice. Acceptance and Commitment Therapy is an evidence-based treatment for pain that helps clients drop the struggle with pain and move towards the activities that they value. Click here to learn about the ACT for Pain practitioner training! 1- de Heer, E. W., Gerrits, M. M., Beekman, A. T., Dekker, J., van Marwijk, H. W., de Waal, M. W., … & van der Feltz-Cornelis, C. M. (2014). The association of depression and anxiety with pain: a study from NESDA. PloS one, 9(10), e106907. 2- Surah, A., Baranidharan, G., & Morley, S. (2014). Chronic pain and depression. Continuing Education in Anaesthesia Critical Care & Pain, 14(2), 85-89. 3- Scott, K. M., Bruffaerts, R., Tsang, A., Ormel, J., Alonso, J., Angermeyer, M. C., … & Gasquet, I. (2007). Depression–anxiety relationships with chronic physical conditions: results from the World Mental Health Surveys. Journal of affective disorders, 103(1-3), 113-120. 4- Kroenke, K., Wu, J., Bair, M. J., Krebs, E. E., Damush, T. M., & Tu, W. (2011). Reciprocal relationship between pain and depression: a 12-month longitudinal analysis in primary care. The Journal of Pain, 12(9), 964-973. 5- Demyttenaere, K., Bruffaerts, R., Lee, S., Posada-Villa, J., Kovess, V., Angermeyer, M. C., … & Lara, C. (2007). Mental disorders among persons with chronic back or neck pain: results from the World Mental Health Surveys. Pain, 129(3), 332-342. 6- Harding, V., & Williams, A. C. (1995). Applying psychology to enhance physiotherapy outcome. Physiotherapy Research & Practice, 11, 129-132. 7- Main, C. J., & George, S. Z. (2011). Psychologically informed practice for management of low back pain: future directions in practice and research. Physical therapy, 91(5), 820-824. 9- Driver, C., Kean, B., Oprescu, F., & Lovell, G. P. (2017). Knowledge, behaviors, attitudes and beliefs of physiotherapists towards the use of psychological interventions in physiotherapy practice: a systematic review. Disability and rehabilitation, 39(22), 2237-2249. 10- Beissner, K., Henderson Jr, C. R., Papaleontiou, M., Olkhovskaya, Y., Wigglesworth, J., & Reid, M. C. (2009). Physical therapists’ use of cognitive-behavioral therapy for older adults with chronic pain: a nationwide survey. Physical therapy, 89(5), 456-469. 11- Nielsen, M., Keefe, F. J., Bennell, K., & Jull, G. A. (2014). Physical therapist–delivered cognitive-behavioral therapy: a qualitative study of physical therapists’ perceptions and experiences. Physical therapy, 94(2), 197-209. 12- Alexanders, J., Anderson, A., & Henderson, S. (2015). Musculoskeletal physiotherapists’ use of psychological interventions: a systematic review of therapists’ perceptions and practice. Physiotherapy, 101(2), 95-102. 13- Singla, M., Jones, M., Edwards, I., & Kumar, S. (2015). Physiotherapists’ assessment of patients’ psychosocial status: are we standing on thin ice? A qualitative descriptive study. Manual therapy, 20(2), 328-334. 14- Knuth A, Ross-Stewart L, Brent C, & Salerno R. (2018) Psychological Aspects of Rehabilitation as Perceived by Physical Therapists.J Phy Fit Treatment & Sports 2(1): 555579. 15- Nicholas, M. K., & George, S. Z. (2011). Psychologically informed interventions for low back pain: an update for physical therapists. Physical therapy, 91(5), 765-776. 16- Elvén, M., Hochwälder, J., Dean, E., & Söderlund, A. (2015). A clinical reasoning model focused on clients’ behaviour change with reference to physiotherapists: its multiphase development and validation. Physiotherapy theory and practice, 31(4), 231-243.